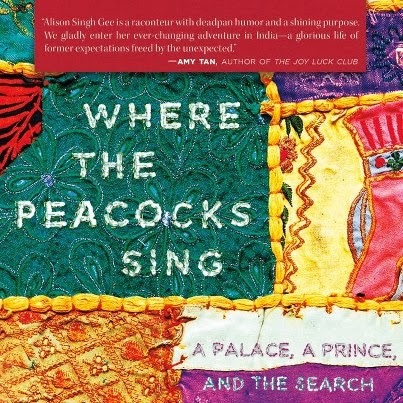 Alison Singh Gee is the author of a "page turner" memoir, Where The Peacocks Sing. In mellifluous prose she writes about how love, riches, and a place to call home can be found in the most unexpected places. This modern-day fairytale takes readers on a cross-cultural journey from the manicured gardens of Beverly Hills, to the bustling streets of Hong Kong and finally to the rural Indian countryside as Alison comes to terms with her complicated new family, leaves the modern world behind, and learns the true meaning of home. Her debut book was named National Geographic Traveler's Book of the Month, and received a starred review in Library Journal. 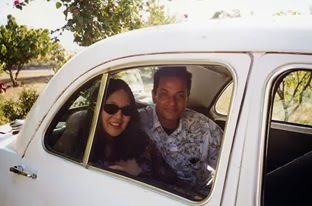 Alison is now working on a second memoir, Cooking for the Maharani: Four Continents, Six Iconic Chefs and One Tall Glass of Revenge, about learning to cook from famous chefs all around the world -- including her royal mother-in-law in Delhi and her not so royal mother in Los Angeles. She lives and teaches in Los Angeles with her husband and daughter. Amidst a computer that gave up on her and her otherwise hectic schedule, she took time out to answer some questions for Suprose. This is like a fairy tale come true! How did you first feel when you found out that you were getting engaged to a prince? Well, Ajay is more of a lord than a bona fide prince, and he’s never really come out and said as much. I had to pry his title out of him, that’s how modest he can be about his landed-gentry status. In the book I write about the moment when I overhead Ajay telling my mother he grew up in a 100-room Indian palace. That happened about six months into our relationship and it was a complete surprise to me. 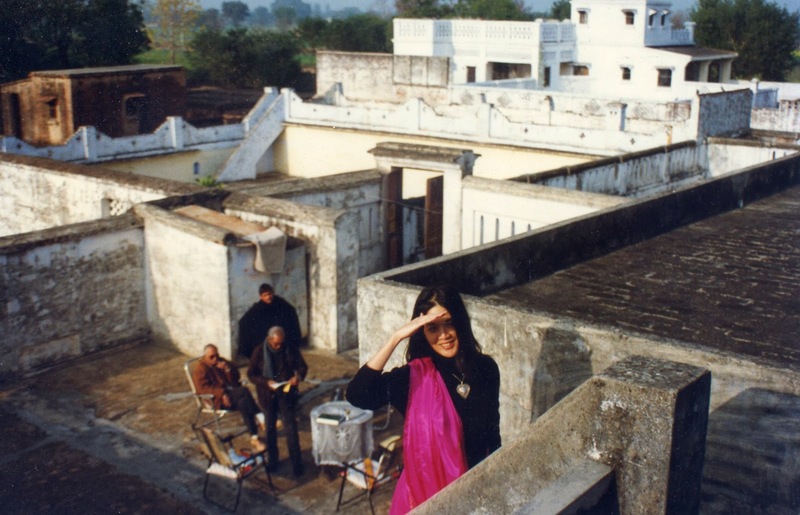 It turned my whole world upside down, and set me fantasizing about an exotic palace with marble floors, gilt-framed portraits of maharajas and maharanis, and servants standing in each corner waving giant peacock fans. The reality was something totally different! On bad days, the palace looks like it’s about to collapse from a century of use, and several decades of neglect. The palace is crumbling in many places and I like to say it looks as though it’s been Jackson Pollacked with mold. So, I like to tell my readers that my story -- marrying an Indian prince with a palace -- does sound like a fairy tale, but only until you read the fine print! I hope the fine print is what makes the memoir humorous. What are some responsibilities as Quasi-royalty? The Singhs run a school in the village that surrounds the palace, and they take their responsibilities to the village families very seriously. They are seen as the village’s “Big Family,” one that should care for, educate and support the locals. In that tradition, I took some of the book money I made from Where the Peacocks Sing, and my 11-year-old daughter have been planning a lending library for Mokimpur. Many of the village children will never own a single book of their own. My daughter has looked at her bookshelves and come up with a list of her favorite books, and we are sourcing them in India, building shelves, and figuring out a lending system. We hope this library will help open doors in their minds, and help them understand and dream about the world beyond Mokimpur. How has living in a palace and as the wife of a prince changed your outlook towards things? It’s made me realize that you don’t always get what you want – which, let’s face it, would have been a sparkling palace with emeralds and rubies in the vaults-- but you get what you need -- which was a fascinating new family, and this magnificent, otherworldly house to call home! This insight from Ajay became one of the emotional centers of my memoir, and a passage readers often say resonated with them the most. Tell me about your writing background, how and why you became a journalist? Who you worked for and such. offered magazine feature writing assignments, and wrote for the Los Angeles Times, Vanity Fair, and InStyle. In my mid-twenties, I won a Rotary Fellowship to study abroad, and I chose Hong Kong (even though I really wanted to go to Paris!). I had a feeling I could do some trailblazing stories in China, and I turned out to be right about that. I traveled all over the Middle Kingdom to write about such stories as the last village of bound-foot women, extreme beauty rituals, and Chinese orphanages. When Ajay and I met, we were both working as journalists for Time Inc, on their Asia-based newsweekly magazine, Asiaweek. There, I won an Amnesty International Feature Writing Award for a cover story, The Lost Children, about child prostitution in Southeast Asia. By the time I had left Hong Kong, I had written for newspapers and magazines all over the world, including the New York Times, the New Yorker, and Marie Claire. The experiences helped me land a fun but frantic post as an entertainment features writer at People magazine. I stayed there for eight years. Your writing is very lyrical, how does a journalist get that quality into their work? I think before I was a journalist, I was a writer. I spent my childhood in highly creative gifted programs, studied literature at Scripps College, and went onto to graduate school in British Literature at the University of London. I was always driven by the romance of education and literature, and I think having studied the greatest writers for years instilled a profound appreciation for great storytelling, beautiful sentences and indelible images. I now teach creative nonfiction at UCLA Extension, and I learn as much from my students as I hope they do from me. You evoke all the senses with your descriptions of the kitchen with its smells and flavors and beautiful descriptions of the locale... How do you do it? What I teach my writers is that our job is to transport the reader into our experience. That means evoking and engaging all five senses in our work. I love writing about food because I find being in the kitchen such a surround-sound experience. The book I am now working on, Cooking for the Maharani: Four Continents, Six Iconic Chefs, and One Tall Glass of Revenge, is a sequel of sorts that follows me on an adventure – learning to cook from amazing chefs all over the world, and going back to India to cook seven nights of feasts for Mrs. Singh, my mother-in-law. I keep a tall stack of memoirs – Ava Chin’s upcoming Eating Wildly, Claire Bidwell Smith’s The Rules of Inheritance, Cheryl Strayed’s Wild – on my coffee table. I love my dear friend Jojo Moyes’ fiction – Me Before You is astonishing. And I’m a New Yorker and New York Times Magazine junkie. My guilty pleasure is Salon.com’s salacious personal essays – so bad, so good. Who do you turn to for motivation and inspiration, in terms of role models whether writers or otherwise? 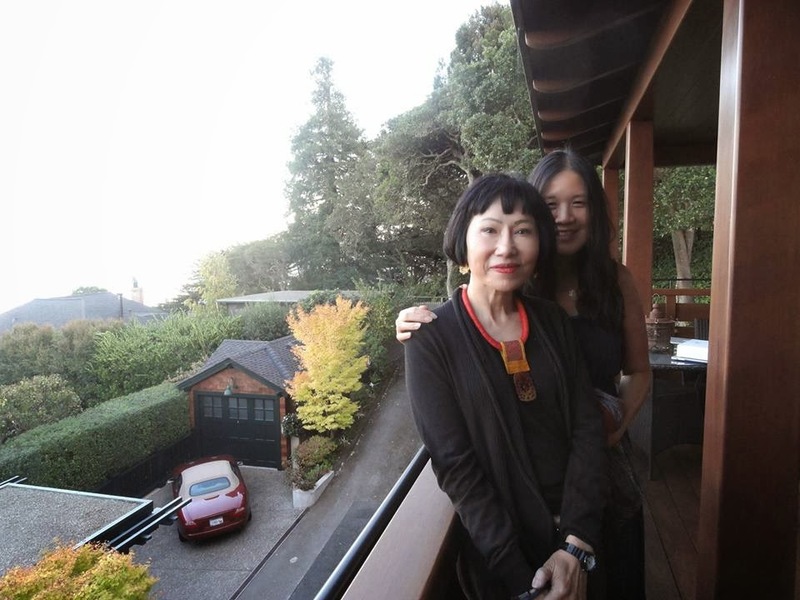 This may sound like a cliché for an Asian-American writer, but I am most inspired by Amy Tan, who has been a friend of mine for the past decade. When I was at People, I got handed the best assignment in the world: To interview Amy about her chronic depression (it turned out to be Lyme Disease!). While I was at her San Francisco home, she asked me if I had any personal writing projects on – the question every fledgling author hopes a famous author will ask her! When I told her about Where the Peaocks Sing, she suggested I apply to the Squaw Valley Community of Writers, the writing retreat at which her work was first discovered. I got in, and we have since seen each other many years in a row at the Squaw Valley Community of Writers. 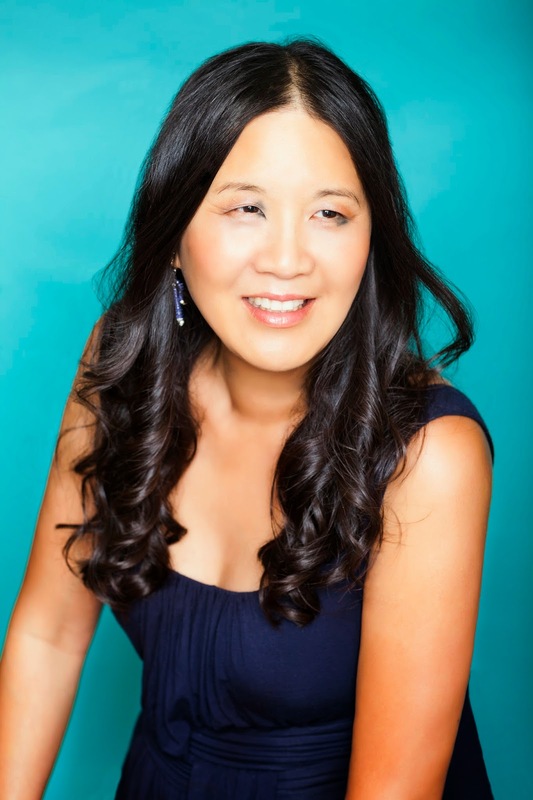 Amy has the writer’s life – and the writer’s gifts -- I dream of for myself. And she knows how to live a good life – she balances her writing with travels all over the world, and meeting up with other great writers and thinkers. Is fiction on the agenda? Probably not! I find mining real life for great narratives incredibly compelling. However, there has been quite a lot of movie interest in the book -- so you may be seeing a version of Where the Peacocks on the big screen in the near future!